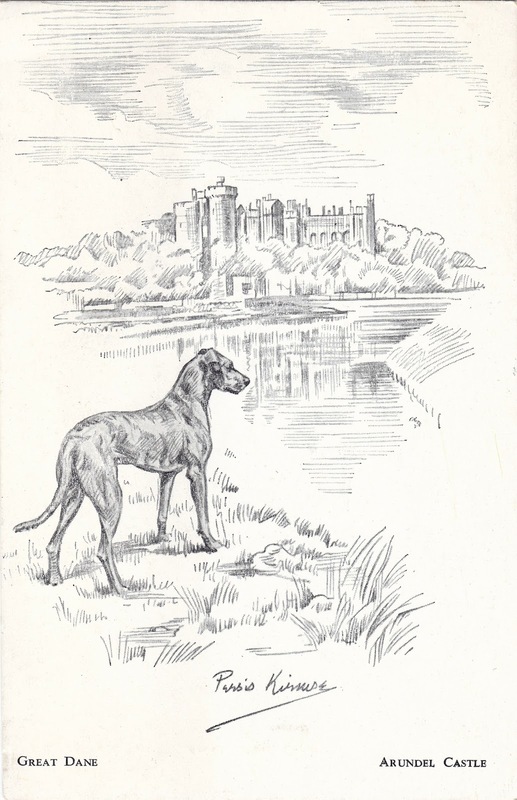 Postcard US-3592467 to Finland shows a great dane with Arundel Castle in the background. A restored and remodeled medieval castle overlooking the River Arun in Arundel, West Sussex, England, the castle was built by Roger de Montgomery at the end of the 11th century. The castle was damaged in the English Civil War and was restored in the 18th and 19th centuries.